Tomorrow at 8pm!!! 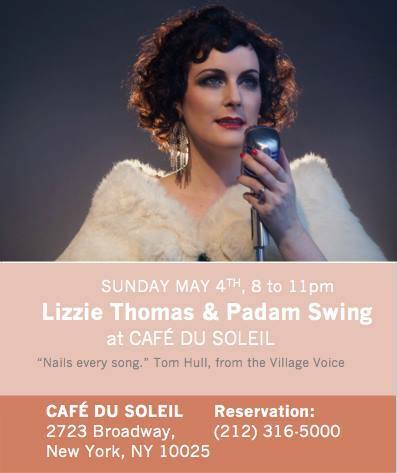 Cafe du Soleil is presenting Lizzie Thomas the & Padam Swing's new repertoire until 10:30pm. And it's FREE! Wonderful lineup featuring Yvonnick Prene, Mark Johnson and Stanley Mitchel. + special guests Mark Richard on saxophone. Can't wait, come! Bring friends and lovers!